Roz Watkins is joining me today on the blog and I’m really excited. The reason being that Roz and I were part of the same online writing group and she was such a huge inspiration to me! I’m so excited to learn a little bit more about her. Hi Roz, thanks for joining us. Can you tell me a bit about you and your latest work? I’m the author of the DI Meg Dalton crime series, which is set in the Peak District where I live. 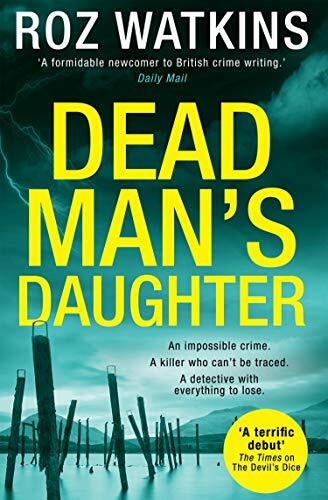 The latest book is ‘Dead Man’s Daughter, which comes out on 4th April 2019. It starts when a ten-year-old girl is found running through the woods in a nightdress, covered in blood. He father is found nearby with his throat slit. Meg discovers that the girl had been behaving very strangely after a recent heart transplant, and it seems she may have been responsible for her father’s death, for extremely sinister reasons! Could memories transferred from her heart donor have caused a young girl to kill her father? Read loads of writing-craft books, including those by editors and agents. Join writing groups, face-to-face and online. Seek feedback on your work and take it seriously but don’t be put off by it. Not all feedback is right, and everyone has their own opinion. I try to be happy with what I’ve achieved, because it’s easy to keep moving the goal posts. Initially success was getting an agent, then getting a book deal, then it’s getting reviewed in newspapers or reaching a certain Amazon ranking or number of sales. So I try to enjoy each stage. I’d love to be able to keep writing pretty much full time – that certainly feels like success for me, after many years in a job that wasn’t right for me. It’s a mixture between what comes into my head, and checking lists of popular names from a certain era. Then there’s the problem of trying not to give deranged killers the same names as your friends, although I have been known to do some occasional revenge-naming. Also I have charts to make sure I don’t have a Carrie and a Cassie in the same book! Every now and then… After I idly googled myself just before my first book came out and found it reviewed in The Literary Review (something which I had not been told about!) I think it’s a good idea to do it occasionally! I have google alerts but they don’t always seem to work. I poo-pick the horse field and think. This is a fantastic source of inspiration, possibly because it is SO BORING. I always come up with new ideas. If any aspiring writers would like to avail themselves of this unmissable opportunity, do let me know. I aim for a year but including thinking time, I really need about eighteen months. Luckily, thinking about one book can overlap with editing the previous one! What’s your main weakness as a writer eg. SPaG, continuity etc? I find the dialogue comes most easily and the descriptive bits are harder and take much more thought, especially as I used all the best scenery in my first two books and now have to think harder! First drafts are hard for me. I tend to get obsessed with word-count, which I’ve realised is stupid. It’s the thinking that’s the hard bit, not getting words down. On book 4, I’m trying to give myself more credit for thinking, and let the words come when they’re ready. Dream, write, panic. And repeat. I know she’s probably a bit old for the role now, but I love Olivia Colman so much, and she’d be a perfect Meg. Nikesh Patel would make a lovely Jai. Learning about the publishing industry has been eye-opening! Realising all the factors that go into making a book a success, and how little control the writer has over most of it! I like to make notes (ideally in coloured glitter-pen) in notepads, and plan on massive white boards, before heading for the laptop. Watching Midsomer Murders or Death in Paradise with a glass (or several) of wine. Kittens. But I need puppies in my life too. Summer. What maniac would say winter? If you lived in Derbyshire, you wouldn’t say winter! Roz Watkins is the author of the DI Meg Dalton series, which isset in the Peak District where Rozlives with her partner and a menagerie of demanding animals. 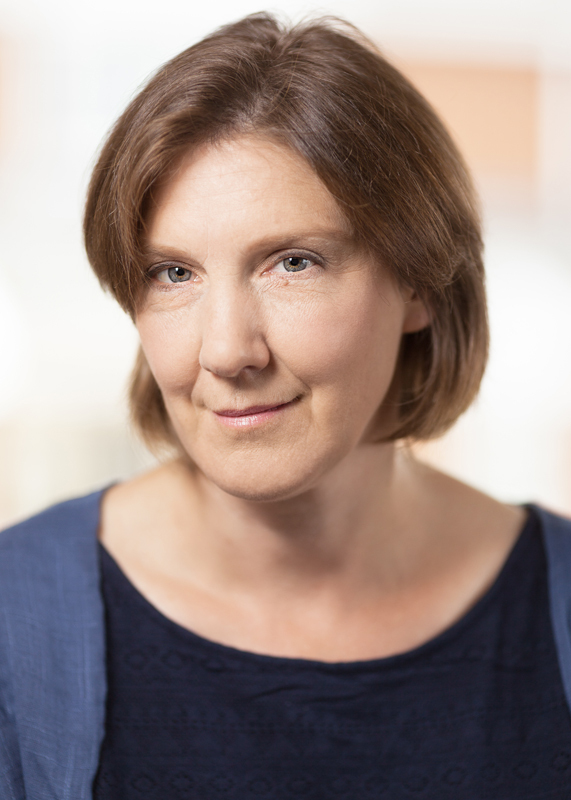 Her debut novel, ‘The Devil’s Dice’, was shortlisted for the Debut Dagger award, and was The Times crime book of the month. Her second novel, ‘Dead Man’s Daughter’ is published in April 2019. Roz was previously a patent attorney, but this has absolutely nothing to do with the dead one in her first book!